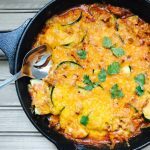 This 21 Day Fix Lazy Zucchini Enchilada Skillet is an easy, low carb and no yellow way to get all the flavors of enchiladas, but with the veggie goodness of zucchini instead of tortillas! Apparently it was National Zucchini Day the other day…and I guess I missed it. Ooops. I need to somehow note these social-media-created food holidays a little better for next year. But, seriously, I already feel like my life has been taken over by my zucchini crop and I’ve been busy making everything zucchini from pancakes to pizza. 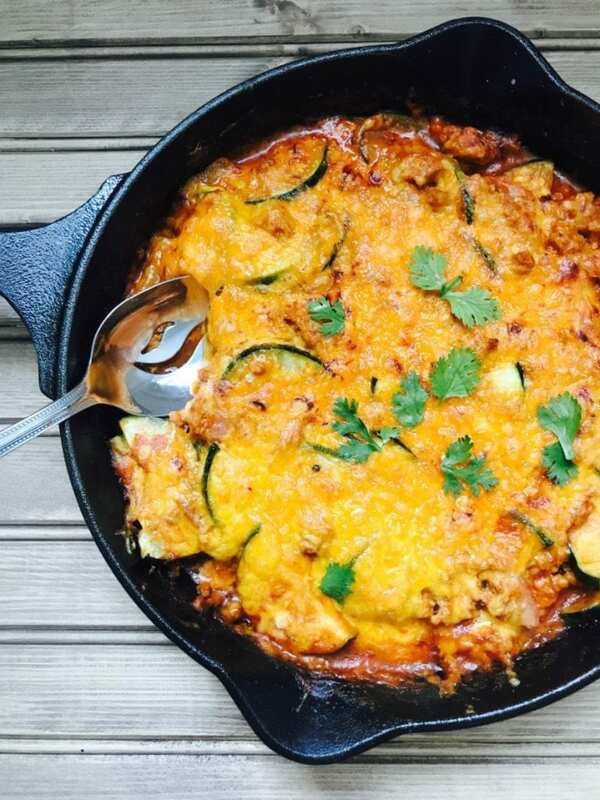 A lazy, one skillet Zucchini Enchilada Bake, that is. 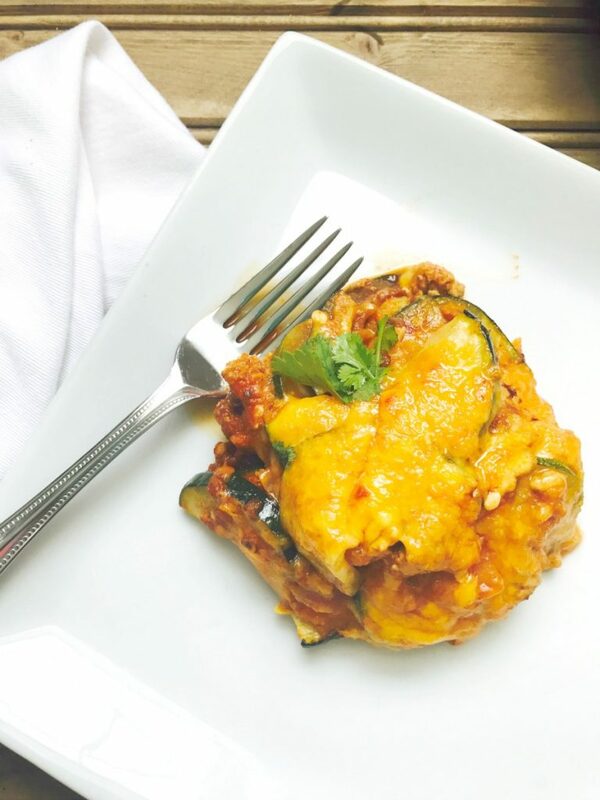 Much like my 21 Day Fix One Skillet Lazy Zucchini Lasagna and my 21 Day Fix Lazy Butternut Squash Lasagna, this tasty dinner is low carb with zucchini taking place of the corn tortillas. This was inspired by an awesome recipe video that I kept getting tagged in on Facebook where thinly sliced zucchini was used as the tortilla in a chicken enchilada meal. But I would literally be dreaming if I had time to slice and stuff a bunch of zucchini so perfectly. So instead, I threw the ingredients together in a skillet and, I have to say, it’s still pretty dreamy. What’s not to love? Cheesy, melty deliciousness with just the right amount of homemade enchilada sauce to trick your brain into thinking you are eating something totally off plan. 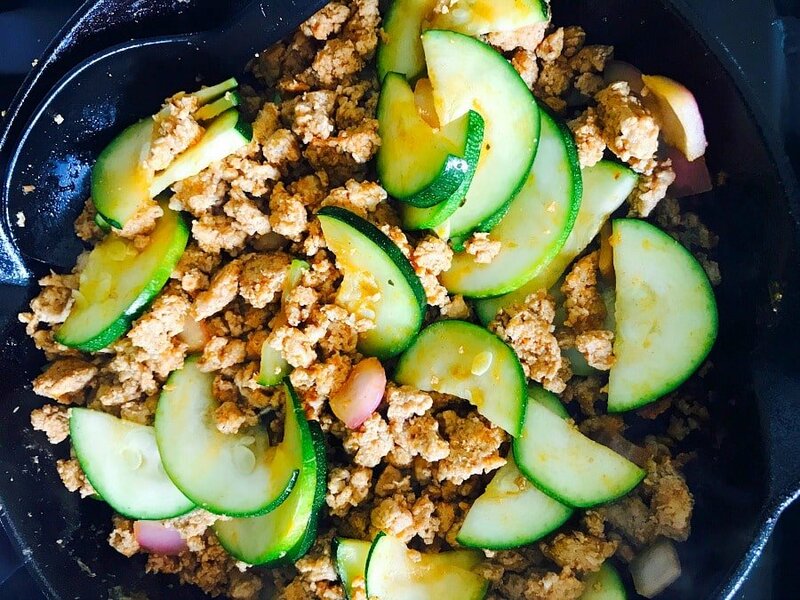 I tried this with both ground turkey and diced chicken…I actually think it would be delicious with shredded chicken, but the point of my version of this dish is ease and I felt like precooking and shredding chicken was a deal breaker. Ain’t nothing lazy about that. The ground turkey was just better than the diced chicken, too…the texture was perfect where I feel like diced chicken can dry out too quick, especially when you are melting cheese under a broiler. That being said, you could easily make this with ground chicken or ground beef and it would be SOOO good. And if you happen to have shredded chicken on hand, give it a try and let me know what you think! To keep with the lazy theme, my homemade enchilada sauce is stupidly easy to make. 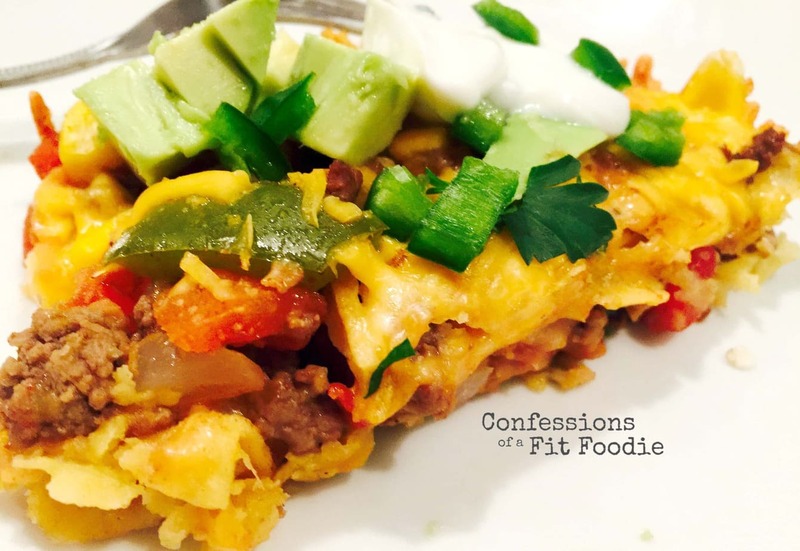 I used it for 21 Day Fix Enchilada Beef Dip, Pork Enchiladas Flatbread Pizza, and I actually have a soup I need to share with you where I also use it. All you need is a can of tomato sauce and some pantry spices. And to make the sauce taste just a little naughtier, I added cottage cheese and plain Greek yogurt to it before throwing it over the veggies in the skillet. I promise you. You will not taste either one. You will only taste cheesy goodness. You could totally serve this in a tortilla if you want to, but I swear you won’t need it. It’s so good and so filling on it’s own. I actually had it for lunch the day I was testing it out and I was so full for hours which almost never happens. 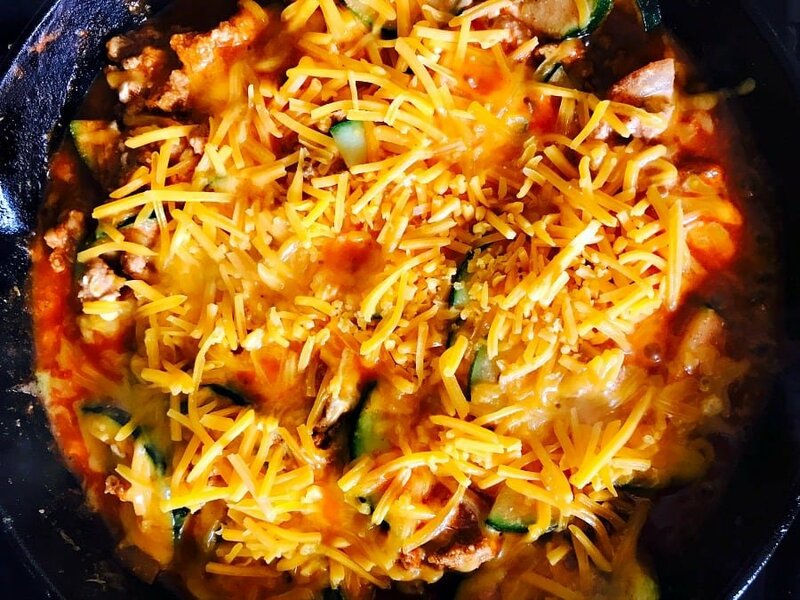 Anyway, go ahead and celebrate a belated zucchini day with this totally FIX approved skillet and maybe even make yourself a skinny margarita with it, too. After all, it’s a holiday! And if you need more zucchini recipes, check out this round up! 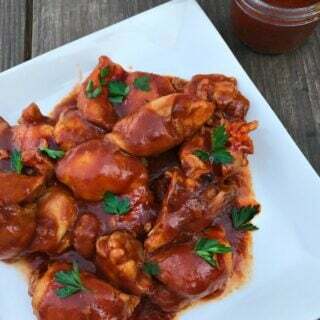 Mix tomato sauce with spices to make the enchilada sauce. Set aside. In a broil safe skillet, spray with olive oil cooking spray, then add in 2 tsp olive oil. Brown ground meat on medium heat until cooked through. Add in garlic, sprinkle of salt, garlic powder, pepper, and three tablespoons of the enchilada sauce. Saute for an additional minute. Stir in onions and zucchini and cook over medium low heat until veggies are tender, but still fork crisp. If you like them softer, cook for a few more minutes until desired tenderness. 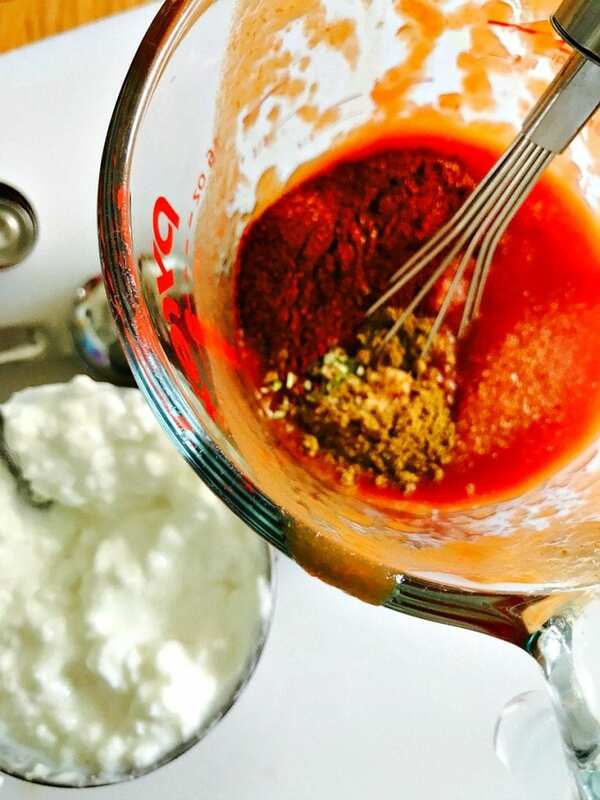 Mix cottage cheese and Greek yogurt together with 1/4 teaspoon of salt. Add enchilada sauce. Pour sauce mixture into the skillet over veggies and meat. Cook for 3-4 minutes on medium-low heat, gently spreading the sauce mixture evenly in the pan. Top with shredded sharp cheddar cheese and place in broiler on high until cheese begins to melt and turn golden brown. Garnish with cilantro and use a slotted spoon to stir to help drain any excess liquid from the zucchini. any suggestions for a substitution if you don’t like cottage cheese? You won’t taste it, but you could use ricotta cheese instead! Otherwise, just leave it out completely and it will still be SOOOO good! Thank you for this! It is amazing and very easy we love it. Can you please tell me how much is a serving? I can’t find it…probably right in front of me:) Thank you. 1/4 of the pan! Mmmmmmmmmmmm! 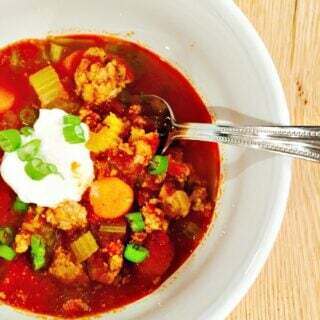 I made this for dinner tonight and it SO YUMMY! 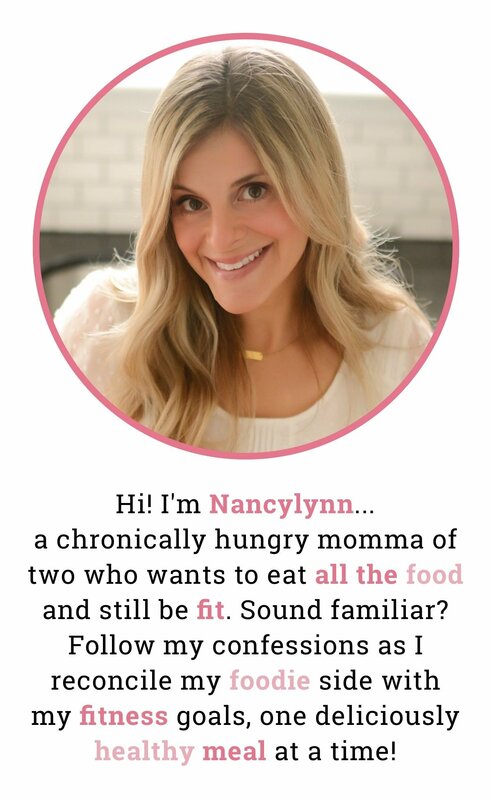 I keep coming back to your blog for recipes, thanks for all you do! I made this tonight for dinner. It was sooooo good! I have made several of your recipes and my husband and I have loved them! Keep up the good work! 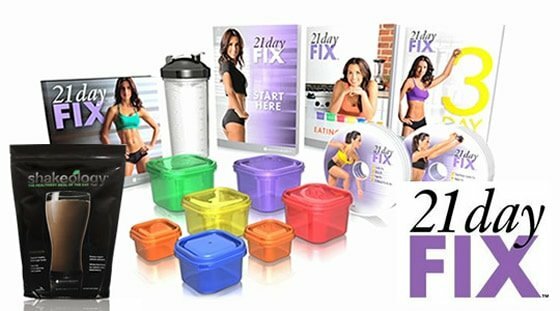 Hi, which 21 day fix container did you use to measure your serving? Divide your skillet into quarters and you are good! This was so delicious, I love all your recipes ! Could you make this as a casserole and freeze it? Oh my goodness – for the win is right!! That’s huge, momma! 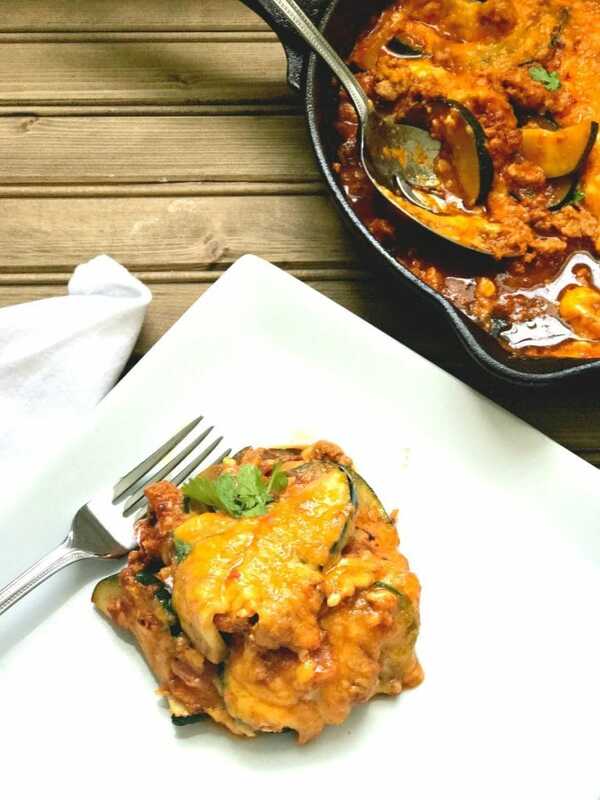 And I have been meaning to try this one and the one skillet lasagna in the IP…I will give it a try and let you know! Thanks so much, Amy! 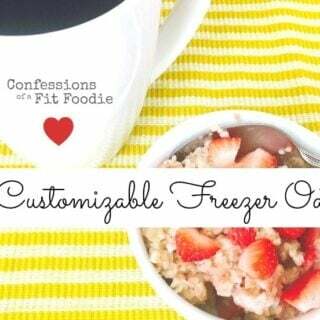 Do you blend the cottage cheese and yogurt to make it smooth? Or add the curds right in? I just add it in…they melt away when cooking!